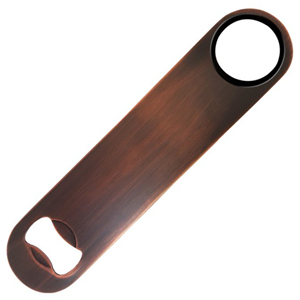 With the Antique Copper Bar Blade, you can add vintage flair to your bartending. Perfect for speedily removing bottle tops and cutting foil with ease. 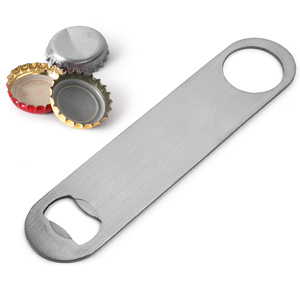 This Vinyl Coated Bar Blade offers excellent grip and a strong design for ease of opening bottles. Ideal for professional or home use. 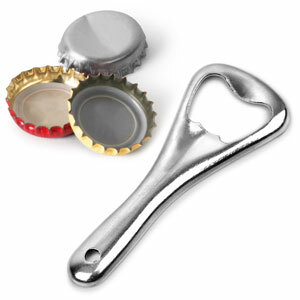 The staple of any beer lover, the Bottle Opener Crown makes cracking open bottles hassle free. The small, lightweight aluminium design makes it ideal wherever you are.